Enjoy a little bit of luxury in North East Scotland with a warming break to Inverness including two excursions. Our November package is a Turkey & Tinsel Break and our March visit is All Inclusive! Our wonderful spa hotel is nestled on the banks of the River Ness and offers free Wi-Fi, a brasserie, coffee bar, bar, restaurant and leisure club with swimming pool, spa, sauna, steam room, hot tub and gym. Each en-suite bedroom provides a flat-screen TV, hairdryer, radio and tea/coffee making facilities. The hotel has a lift. * Under the terms of the Licensing (Scotland) Act 2005, drinks brands are subject to the hotels discretion. In the case of drunkenness, the supply of alcoholic drinks on All Inclusive Packages is not un- limited. Your holiday includes two excursions (weather dependant) and a free day at leisure. 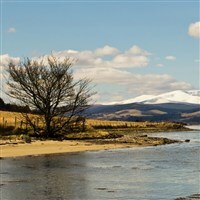 - Contrary to its name, the Black Isle is not an island and it's far more colourful than is implied. Our circular tour heads through Fortrose, overlooking the Moray Firth and calls at Rosemarkie. This wonderful wee village has a museum full of ancient Pictish relics and boasts beautiful picturesque bays. We then carry onto Cromarty, this charming nautical town has a fantastic local craft shop, inspirational sea views and is the birthplace of the famous geologist, Hugh Millar. Nairn, Elgin & Baxters - Our scenic tour today begins with a visit to the attractive seaside town of Nairn, a popular holiday destination since Victorian times. We then carry onto Elgin and call at the once majestic Cathedral, offering unusual features including the Pictish cross slab. We have then included a soup and sandwich lunch at the famous Baxters Soup before a breath-taking return journey through the Cairngorm borders towards Avimore before returning to our hotel. * Under the terms of the Licensing (Scotland) Act 2005, drinks brands are subject to the hotel's discretion. In the case of drunkenness, the supply of alcoholic drinks on All Inclusive Packages is not un- limited.